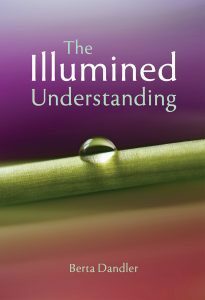 "The illumined understanding implies ultimate fulfilment, lasting peace, the end of all doubt, delusion, fear and sorrow. For those who have realised the Truth, 'their distress is at an end and they live in bliss'..."
"Our own inner world has more to offer us than we can possibly anticipate. There are, as it were, doors and windows that open inwards, not just outwards. And if we are alert to the ideas and practices based on the non-dual teachings, and adopt them, our consciousness will expand beyond conventional ideas of being and seeing. We will find that there is happiness and release at the heart of our own experience. For the infinite wisdom and complete fulfilment is concealed, so to say, in the depths of our mind..."
"The outer life of the body, and the interior life of the mind, do not comprise the whole of us. Our being has its source in an ultimate selfhood that is free from all limitations. And when we create peace and harmony in our mind, we gain an increasing sense that in our deepest centre—our nucleus, so to say—we are more than the mind, and that our ‘I am’ is one with the power that underlies all minds and runs through the whole universe..."